Lake Manitou proved to be the Lake of Many Fish. Unfortunately, the big ones did not come out and play. 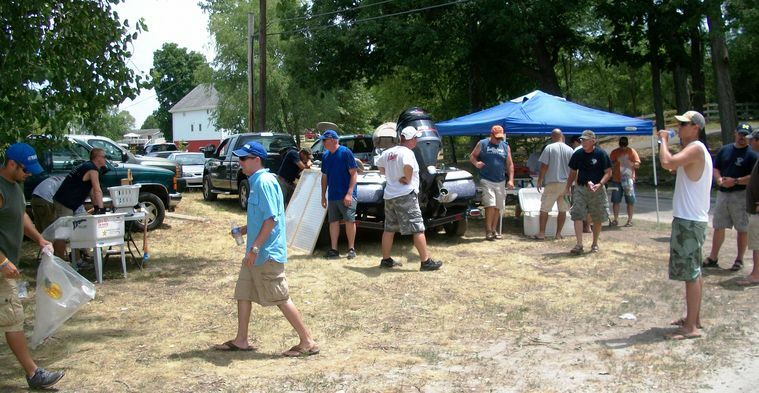 Twenty-two of the 36 teams weighed limits, but only two fish over three pounds came to the scales. 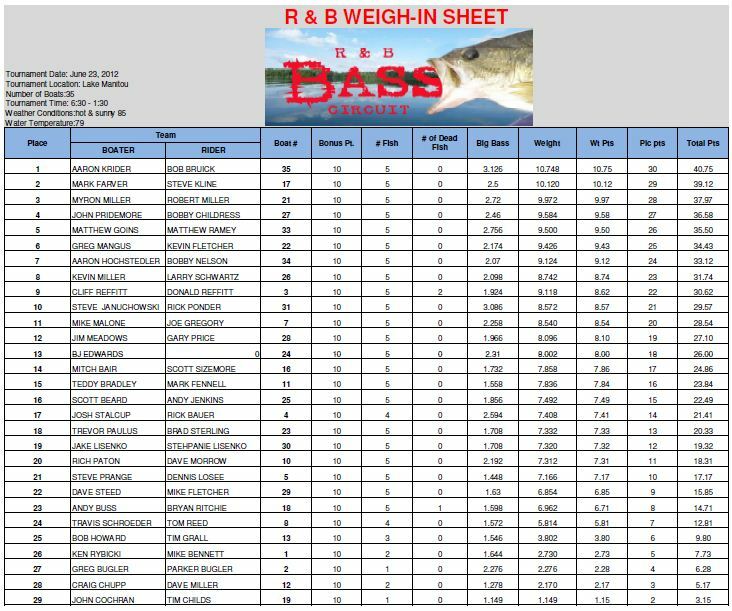 Four of the Top 5 teams were first time winners with the R & B Bass Circuit. Consequently, the Standings saw some major shifts. Welcome Kevin Fletcher and Greg Mangus to the top, but that lead is less than a point over the brothers Myron & Robert Miller. The two teams have a 10 point cushion on the next closest team. However, with three tournaments left, anything is possible. It would be foolish to rule out another team to win the $400 prize. Speaking of money, over $2500 has already been collected for the 2012 Classic; check out the Payback page. 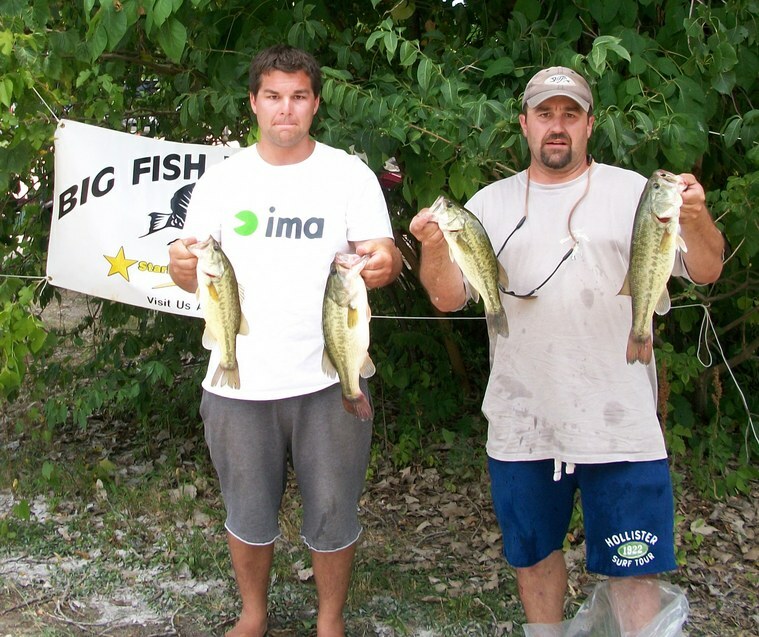 1st Place: Aaron Krider and Bob Bruick took home $968 with a limit of 10.75 pounds, which included the Starboard Choice Marine Big Bass - a 3.13 pound largemouth. 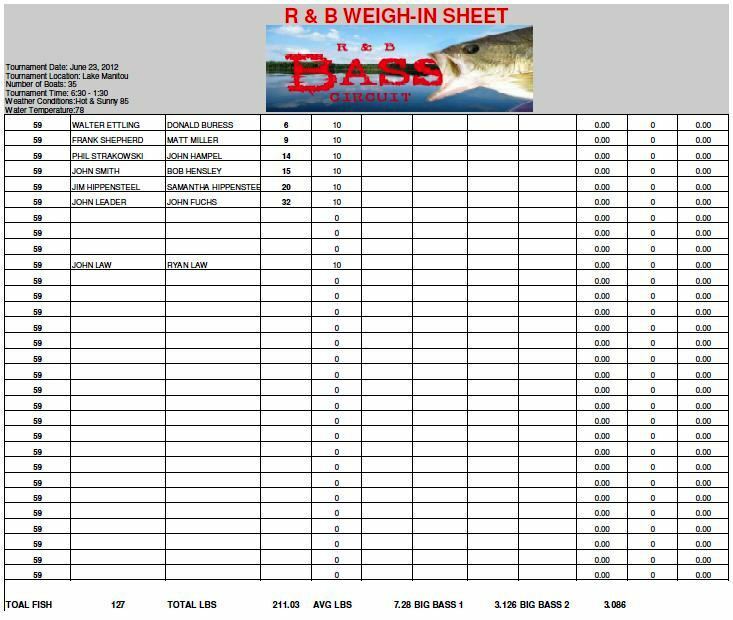 The win earned them $680 and the big fish an additional $288. The winners had not been on Lake Manitou for years, thus, relied on map study. They did a good job. Beginning in an area that only provided two small fish on topwater, at 8:30 they moved to an area that promised boat traffic - you read that correctly. Krider explains, "The boat traffic cleaned the bottom. There was no scum." This was a great decision. Krider's second cast produced a keeper, as did his third, fourth, and fifth. 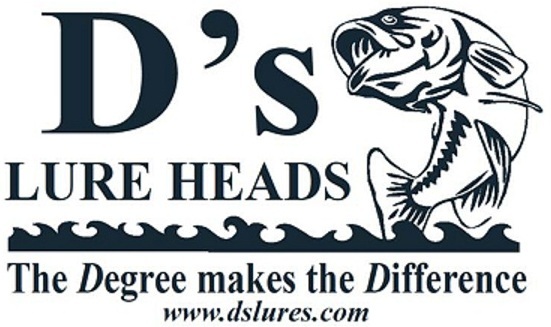 Unbelievably, he caught keepers on 15 consecutive casts! All of the fish were fooled by an Xtreme Bass Tackle tube in the Lake St. Clair crayfish color scheme (pictured right). They never moved more than 20 feet for the remainder of the day. "We put down the Power Pole in 4.4 feet of water and cast our tubes and only had one 15 minute stretch without a fish." the fish. 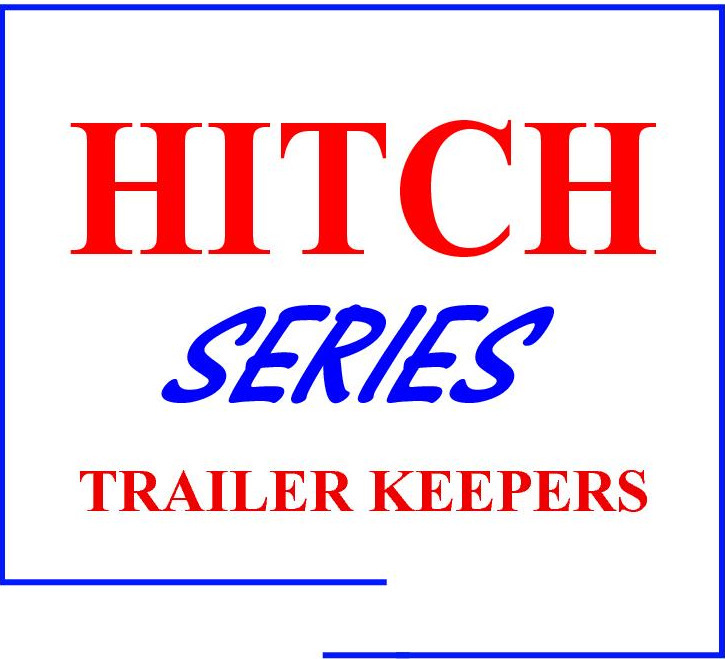 When a boat would cruise by, fish would begin to boil on the surface chasing crappie fry. Casting into the wake was a guaranteed catch." 2. Rock: The area had three rock piles no bigger than the hood of a vehicle where the fry and crayfish were hiding. The boat traffic jawed them loose, making them vulnerable. They boated over 30 keepers. 2nd Place: Much like the winners, Steve Kline and Mark Farver found a sweet spot most of us dream about. To add insult to injury to those who struggled to find fish, this was Steve's first time ever to Manitou, while it had been years since Mark had last floated on it. exhausted the school for nearly 30 keepers. At this time they headed for the docks. The docks produced another 8 keepers before quitting time giving them a 10.12 pound limit. They worked jigs paired with twin-tailed grub around the docks. 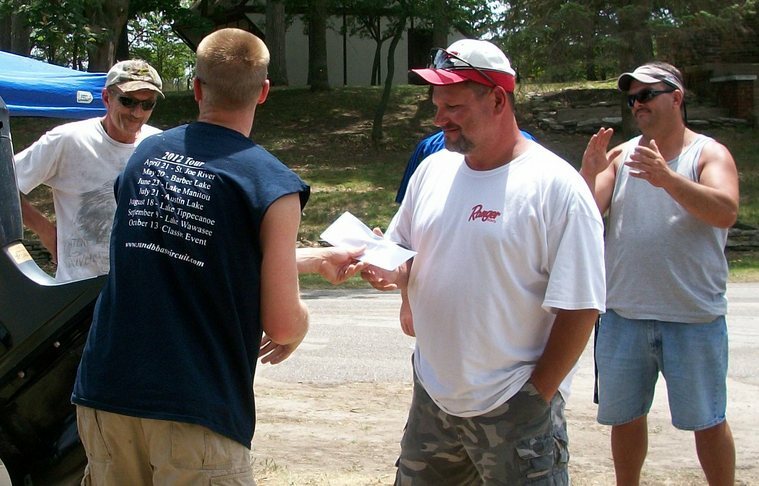 The near 40 keeper day put $416 in their wallets and put them in the top 5 in the Standings. 3rd Place: Brothers Myron & Robert Miller are no longer going to be sneaking up on anyone. Veteran R & B members are recognizing them as serious competitors who are on the verge of becoming the 2012 Points Champions. After their second top 5 finish of the season, they stand less than a point out of the lead. 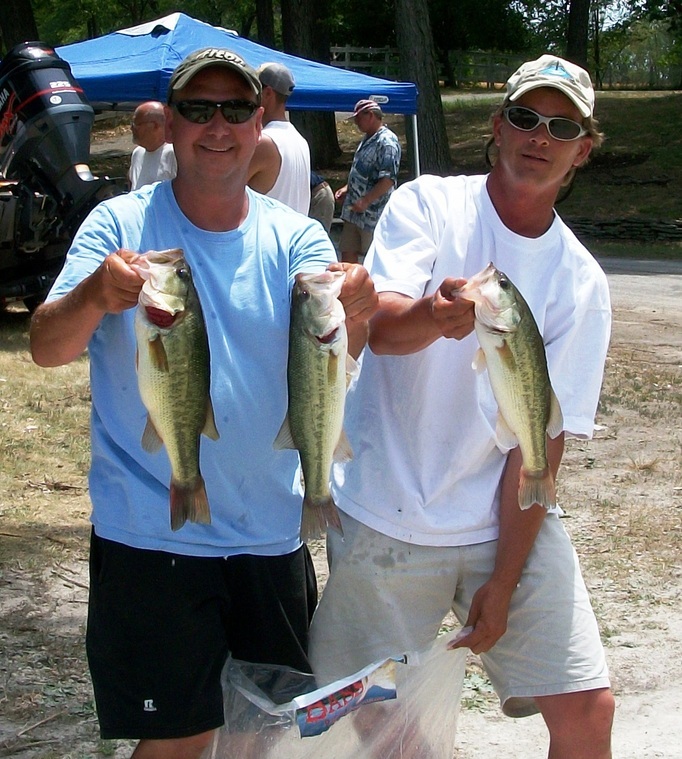 This time they used a two-prong attack around docks to land 13 keepers to finish with a 9.97 pound limit and win $264. The attack included topwater (pop-rs and spooks) in the shadey areas between docks and senkos under docks and boats. The two tactics produced an equal mix of keepers. 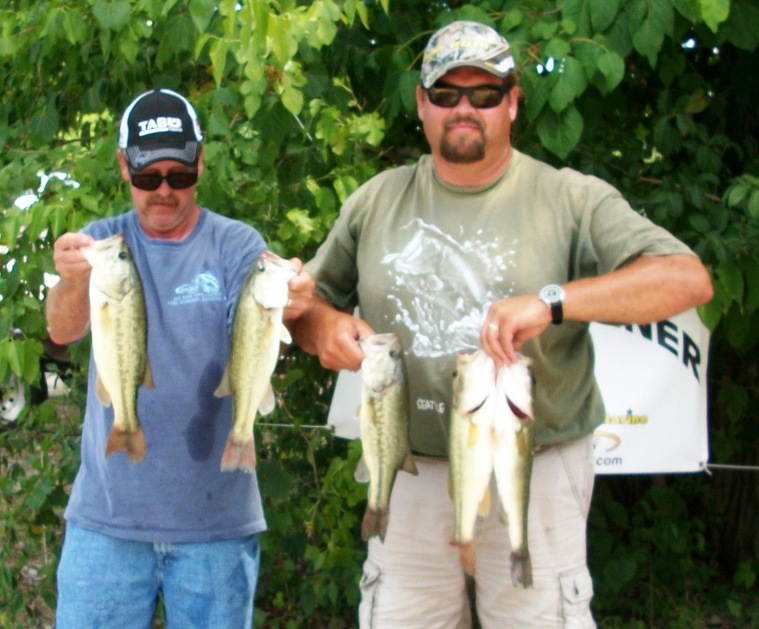 4th Place: John Pridemore and Bobby Childress brought in a limit weighing 9.58 pounds and won $188. They accomplished this despite being run off their primary area by pleasure boaters. After improvising, the team went shallow and casted tubes and senko baits around docks. Doing this, they had their limit by 9:50. They also spent considerable time fishing the weeds on the south end of the lake with sweet beaver baits and picked up several keepers. 5th Place: After driving nearly two hours, Matt Goins and Matt Ramey got some gas money back by bagging a 9.50 limit and winning $132. The team threw a variety of baits. They began on a flat tossing topwater, but only landed one keeper. However, they identified a small area close by holding some rare green grass and quickly pulled out three more keepers with a Texas rigged Culprit ribbontail worm. This spot was in five feet of water. They finished their limit at 8:15. The bite slowed down considerably then. They set up on a breakline found in practice and saturated it for all it was worth. A spinnerbait claimed one fish, as did the ribbontail, and a shakey head all in the 12 foot depth. Worm color changed throughout the day as well; a watermelon color worked best early, but junebug was more productive as the sun got high in the sky. They culled three times. 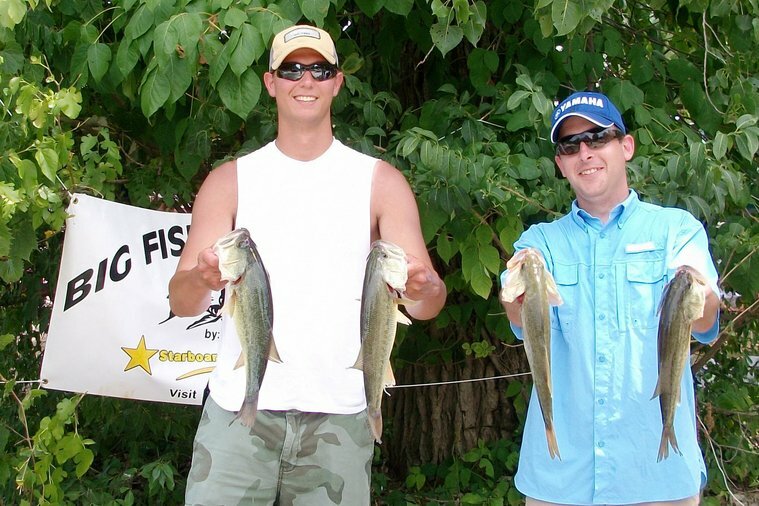 Solar Bat Sunglasses Big Bass: For the second consecutive tournament, a team qualified for this award. Steve Januchowski and Rick Ponder won $72 but also won a new set of Solar Bat Sungalsses by wearing them and mentioning them during the weigh in. The fish weighed 3.09 pounds. 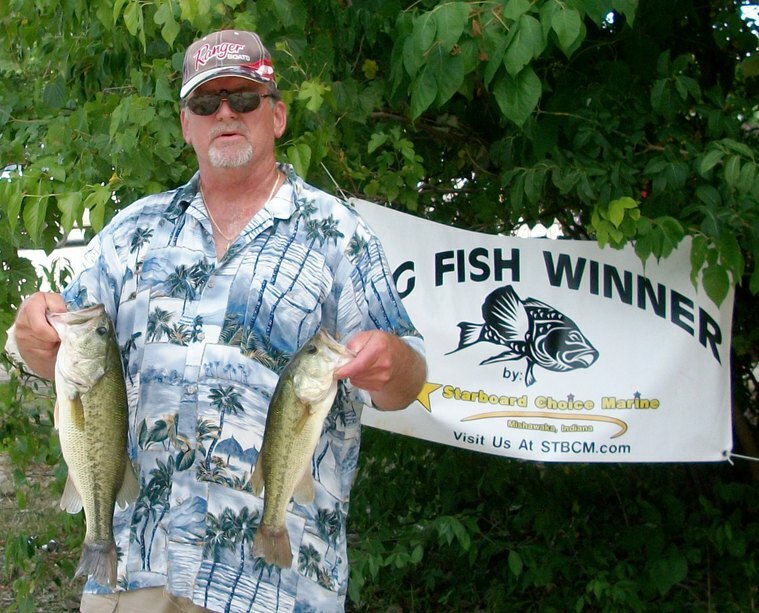 6th Place: Kevin Fletcher went stag and still managed to land 9.43 pounds and earn $114. More importantly, this put him and partner Greg Mangus on top of the leaderboard. The team is the all-time money winners in the R & B Record Book. 7th Place: The 2010 Point Champions, Aaron Hochstedler and Bobby Nelson, are back at it again. This time they won $94 with a limit weighing 9.12 pounds. D's Lures Award: Kevin Miller and Larry Schwartz landed a limit weighing 8.74 pounds to win an ample tackle pack and t-shirts.